You are here: Home » IS IT POSSIBLE TO MERGE INDOOR WITH OUTDOOR TRAINING? In this world of bicycles in incessant growth, I hear more and more often talk about theories that see the indoor component play an important role, especially in carrying out specific exercises. In that moment the question I ask myself is: is the nowadays athlete the result of a preparation that merges training on the road with indoor rollers? Is it possible that there are high-level athletes who practice mainly through indoor exercises? Or are these just fixations of some amateur cyclist fanatical of numbers? Let’s go step by step and find out how some high-level athletes use rollers. There are some, like Davide Martinelli, who know how to make a rather limited use of it. “In these months of the year I can’t train outdoors, because of the weather, the days that become shorter, or in some cases due to the presence of ice on the road. Hence, it is advisable to work on the rollers. It is scientifically proven that certain types of exercises, carried out indoors within an adequate temperature, are profitable. With modern rollers (those produced for 8-10 years) SFR exercises can be performed in a proper way. Thanks to this tool you can set the precise slope and the simulation is correct. For example, I can run SFR on a 5-6% climb at a pedaling rate of 50 rpm with 300 watts. The work is precise and there is no margin for mistakes”. “It’s more difficult to perform other types of work such as 40-20, 30-30 or 20-40 because the roller can not follow you instantly in the change of pace, it needs some time to adapt itself and not all athletes have top level rollers from 1,500 euros. Even less simple is to manage indoor maximal strength exercises because you go to express values ​​up to 1400 watts (an amateur cyclist 1,200) and the roller itself could be affected. Here we cross a security-related discourse because the bike could move from the roller”. In detail: “Heavy-duty work is certainly feasible. Interval training and variations are more difficult, as well as the dynamic force sprint and explosive force“. The alternative options, however, are not lacking and are interesting: “You can also opt for a different kind of work. For example, if the outside temperature is low, I can go out during the hottest hours of the day (11: 00-14: 00) and return for indoor work (one hour of specific training) since the muscle works better with temperatures higher than 13-15 °. It happened to come back after 2 hours of training on the road and conclude with an hour of specific roller, not too intense, because the variations are difficult to carry out “. “You can perform a regular 3×10 threshold work at medium. Half an hour constant without interruptions, there are no cars or traffic lights to hinder the exercise. This is a plus for the roller”. 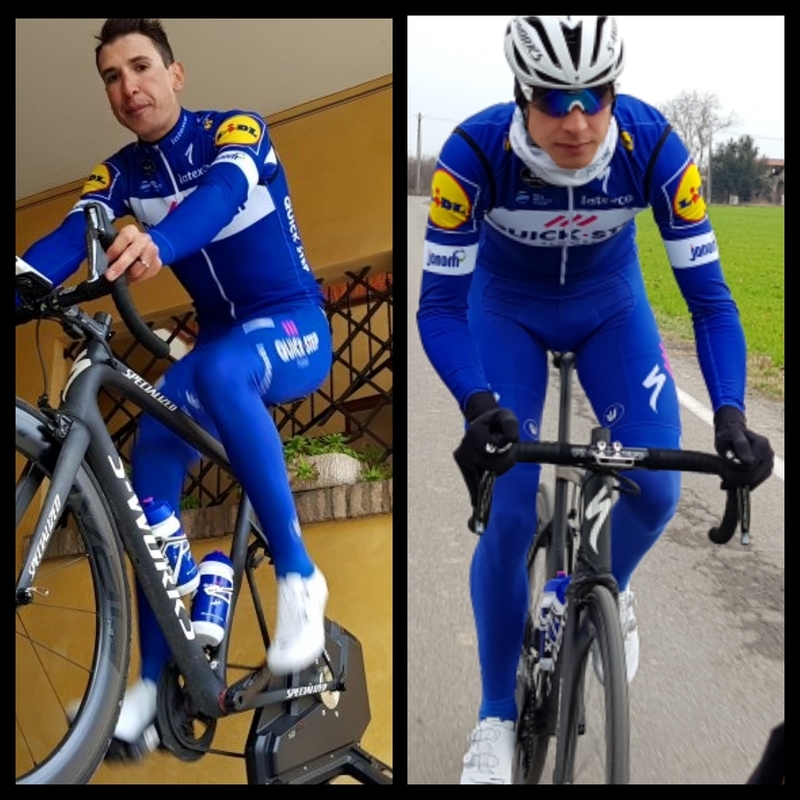 The opinion of Davide about rollers is summarized as follows: “This is a valid option, for example, if one does not have the opportunity to go outdoors and has to prepare a competition despite having little time. Consider a person who works from 9 am to 17 pm, certainly he will not have free time. A solution of this type could be adopted: an hour of roller in the morning (difficult to perform work of intensity or strength) and then repeat with an hour of specific training in the evening “. In conclusion, a consideration to keep in mind: “There are people who can do even 3-4 hours on the rollers but I think the runner cyclist takes shape outdoors. There are a series of variables, microvariations, rhythm and other elements that complete the figure of the cyclist and which are indispensable for being part of a group “.